Your employees, other branches or channel partners can order and download all marketing materials via the BrandMaker Marketing Shop. Set new standards for fast and convenient self-service. Create, print, and distribute marketing materials on demand and deliver the exact quantities you need. An intuitive shopping cart concept ensures that all users can easily access the shop. 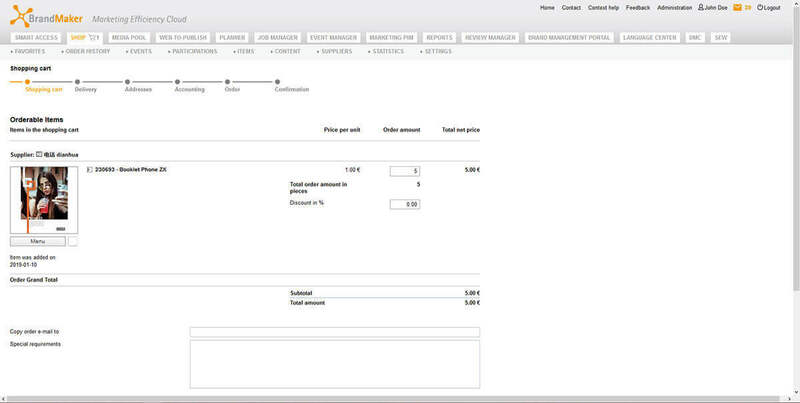 The order history also allows them to view their order transactions at any time. Central data collection and automated stock updates provide a clear overview of your marketing resources and their availability. 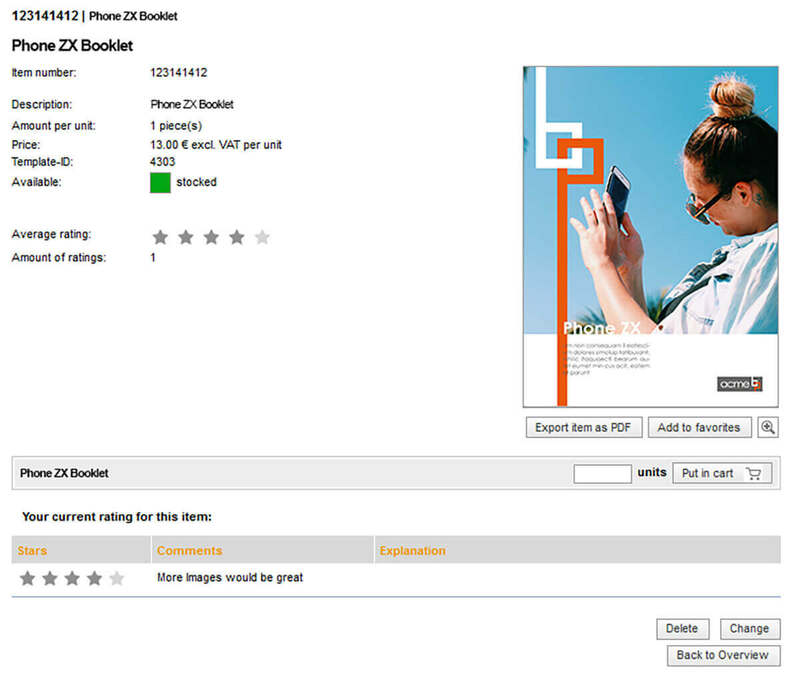 Make all materials centrally available to your employees, service providers or sales partners in the Marketing Shop. Say goodbye to complex orders via e-mail and automate your ordering process. All participants have quick and direct access to a central stock of available advertising media. 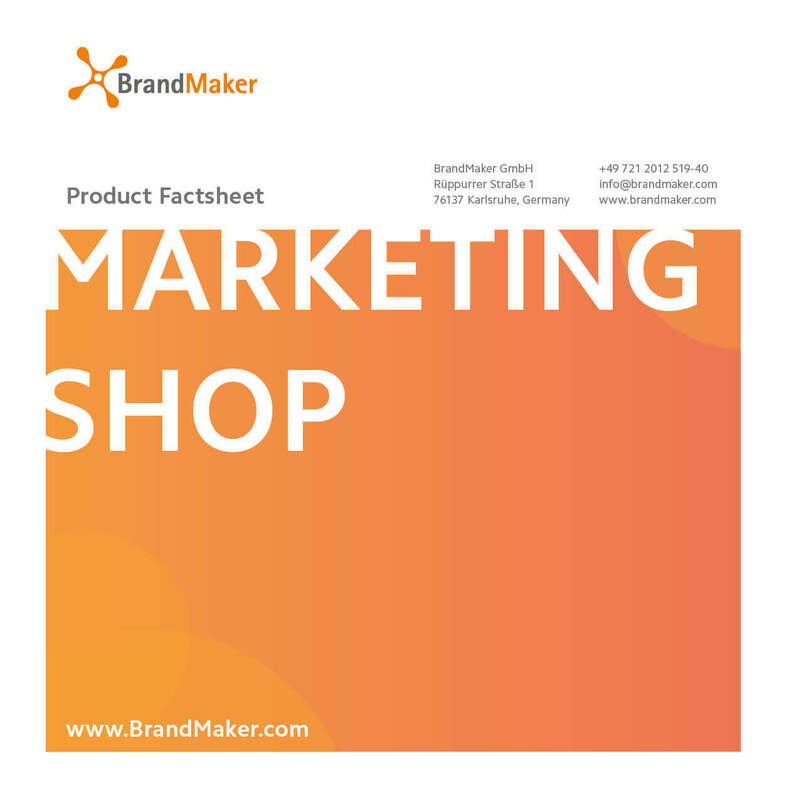 BrandMaker Marketing Shop can be used to handle all processes required for ordering marketing materials. From promotional gifts in stock to point-of-sale materials that are produced as needed. Sales or exhibition stands can also be booked without any problems. Automate your ordering processes and accelerate your market launch dramatically. Especially in channel marketing, the Marketing Shop is a significant facilitation. This eliminates the need for complicated ordering processes between local marketing teams and your company headquarters. After selecting the desired media, you can switch directly from the shopping cart to the Web-to-Publish process. 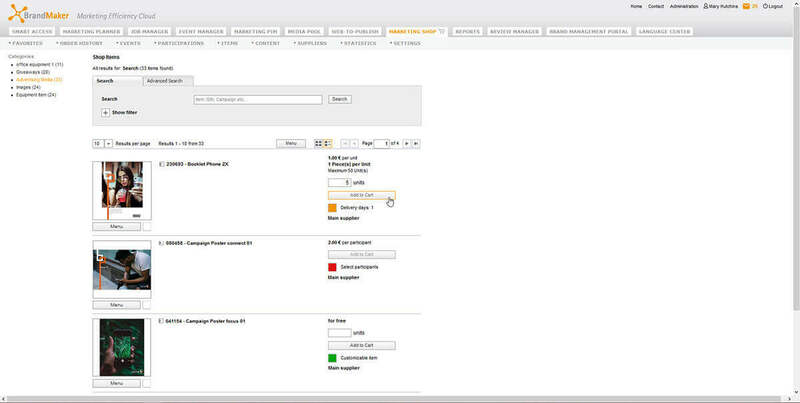 This allows you to customize your materials to your specific application before placing your order. In addition, an interface to your direct marketing or CRM system can be implemented to process content which is part of your direct marketing campaigns. By setting up user-defined roles and the associated rights, each user gets exactly the type of access they need for their job. As a result, suppliers are able to edit product information, central marketing can approve materials, and employees, whether on site or in branch offices, can conveniently and quickly order the resources they need. This allows each area to concentrate on its own competence and a smooth process is ensured by a central overview of the process.